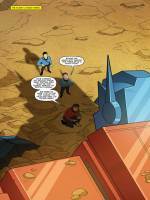 Via Itunes we have the first 3-page preview of the upcoming IDW Star Trek VS Transformers #02. 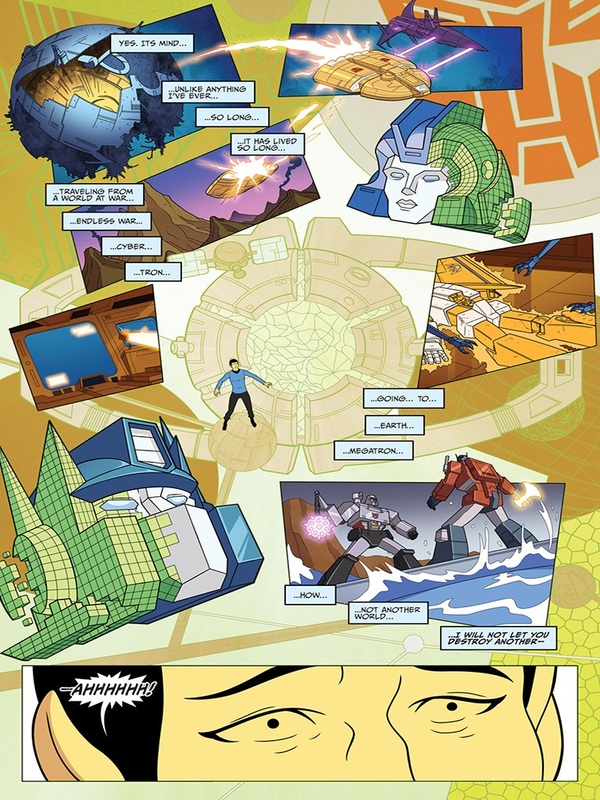 This is the latest (and unexpected) crossover in the IDW Transformers titles. 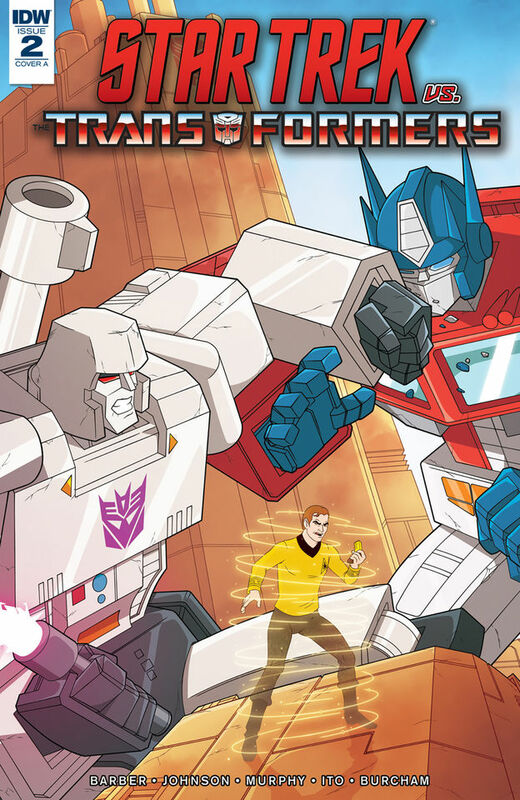 A 4-issue mini-series where the animated version of Star Trek (with characters like Lieutenant M’Ress and Lieutenant Arex) will meet the Transformers (with an style based on the G1 show). 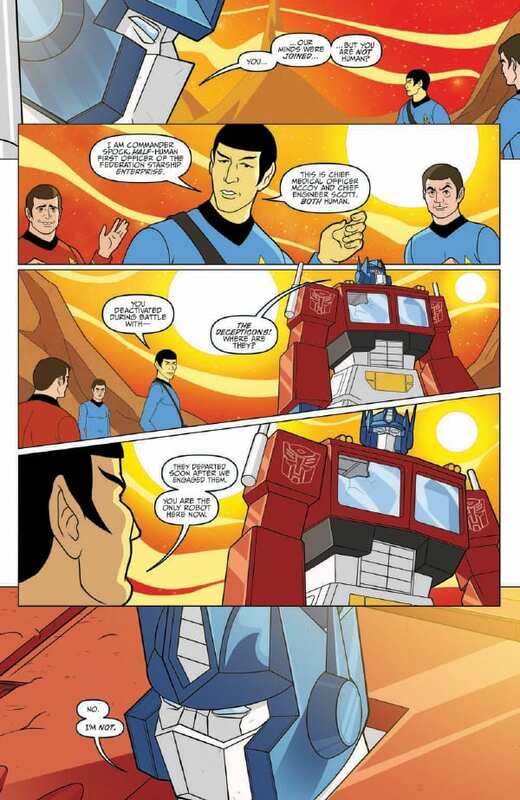 On this preview, fan-favorite and iconic Star Trek character: Mr. Spock finds out the Transformers story for via Optimus Prime’s mind. Don’t forget to grab your copy this November 14! 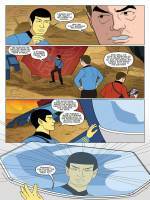 You can check out the mirrored preview after the jump and then sound off your impressions on the 2005 Boards. 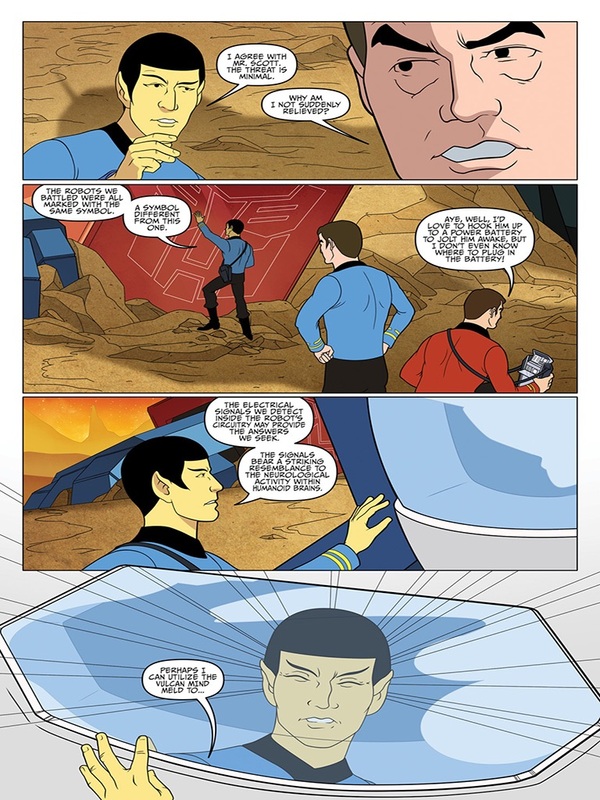 I haven't read the first one yet and may be judging too quickly. 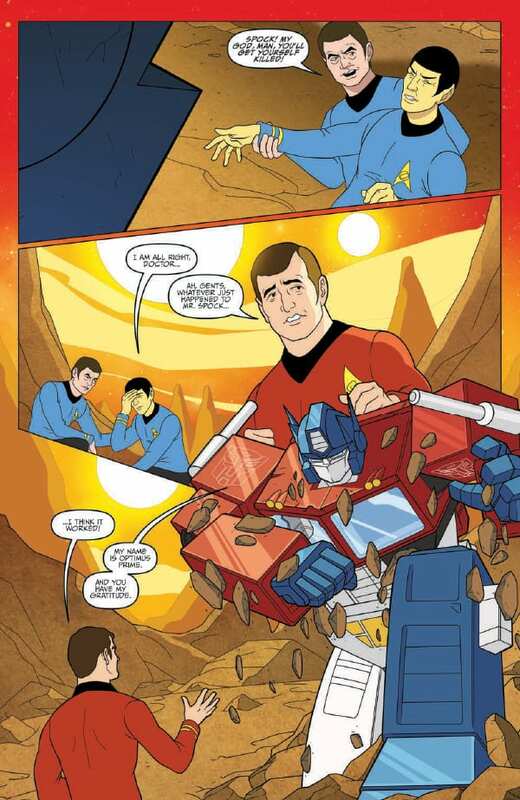 I'm a fan of both Transformers and Star Trek but I don't really see a point of a crossover. Does it work or still too early to tell? 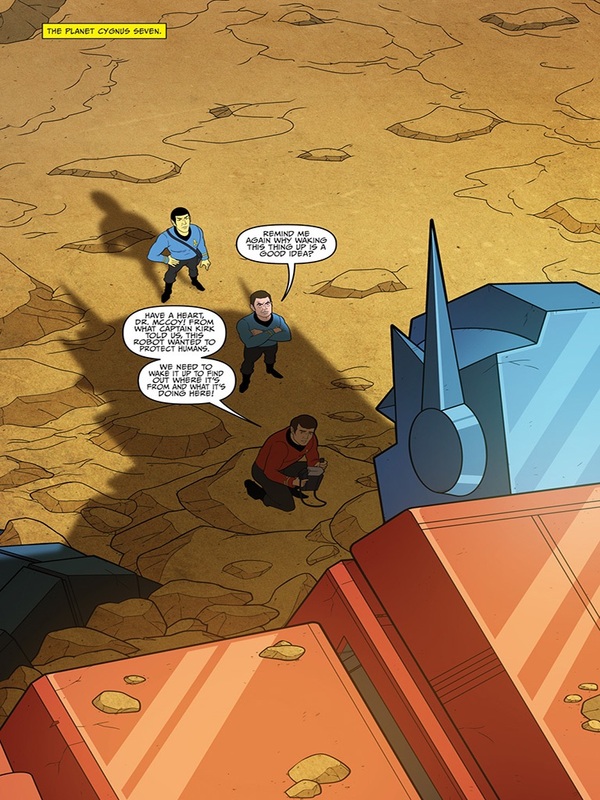 Legit/clever crossover (like the Star Trek TNG Borg and Dr Who Crossover worked) … or is it just "hey… they should hang out for some reason to sell comics"
jesus, optimus is drawn huge. 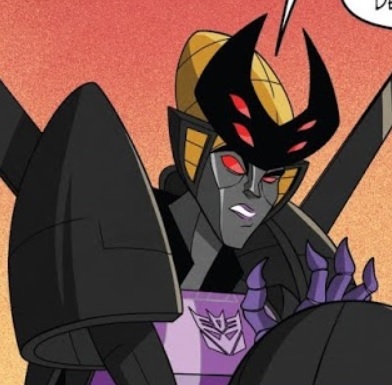 his shoulder should be like… 3/4 that size, maybe even only half.